The species is only known from a few sites in the greater Sydney region. 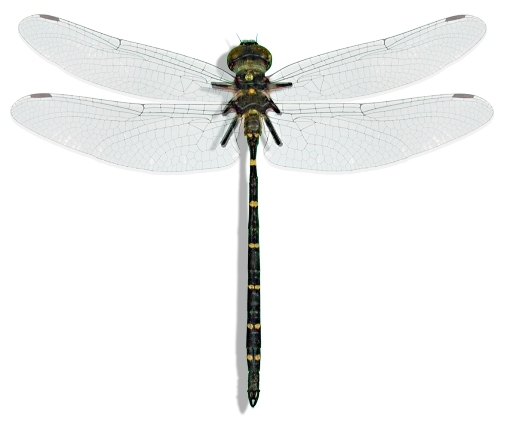 The Adam's Emerald Dragonfly is a moderately large, robust dragonfly. Larvae grow to about 23 mm in length and have a large two-lobed frontal plate on the head (see diagram), which distinguishes them from any other species found in NSW. The adults have a brown-black body with yellow markings, and a slight green or bluish metallic reflection on some parts. The abdomen length is around 46 mm and wingspan around 75mm.